What Mail Merge Custom Fields Can I Use for Clever Outreach? Mail merge fields, custom fields, dynamic fields, snippets – however you call them, successful cold email outreach can’t be done without them. These are just the pieces of information about each of your prospects that can be merged into your email templates to make your messages catch people’s attention. In this post, I’m sharing some ideas for custom fields, other than the traditional first name and company name. Learn where to find them and how to add them to your prospect base for more effective personalization at scale. How to Use High-Level Personalization in Influencer Outreach? 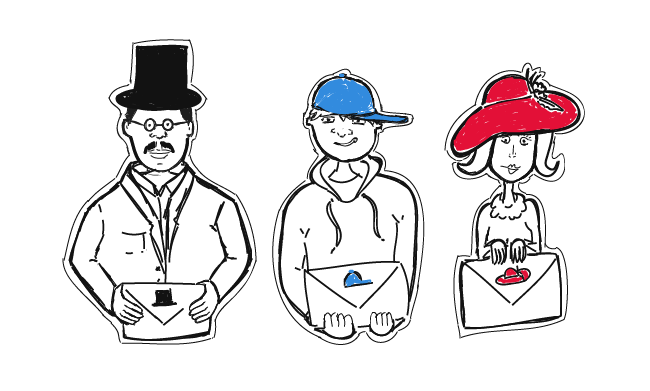 We already know that personalization boosts deliverability, as well as open and reply rates. But how to get about personalizing your messages? A few weeks ago, I asked about it Magdalena Urbaniak, who is Global Communications Manager at Brand24 and focuses on influencer marketing. Taking care of influencer outreach, Magda contacts people who get tons of cold emails every day. Yet, she gets responses and starts valuable relations which often turn into business opportunities. Read on to learn how to use high-level personalization to start conversations with influencers. Three questions: What’s the little big thing that makes our cold email interesting from the very first line? What makes our prospect feel that we really care about talking to them? What changes generic bulk emails into personal valuable messages? One answer: Personal touch. And note that putting in our addressee’s first name in the salutation is not enough nowadays. Here’s how to add a personal touch to a cold email campaign in 3 steps. Ok, so we’ve done some research on our prospects and we’ve prepared our tailor-made copy. How do we combine the two, so we don’t have to copy & paste each piece of information one by one from our contact base to each message when it comes to sending our cold emails? Here are two tools that can help you carry out highly personalized outreach at scale. But if you really did your homework right, it won’t be as hard as you think. Here’s how to use the outcome of your research and skillfully incorporate it in your emails to impress your prospects and make them hit ‘Reply’. In the previous article I described two reasons why people hate cold emails. Then, I converted them into two rules we should follow if we want to make our messages personal. That was a lot of theory and analysis, but what about practice? Well, here’s how I find out who my prospects really are to make my outreach personal and relevant.